Pizza is a fast spreading fast food in Indian cities. We normally ask for door delivery of pizzas from the nearest pizza hut. 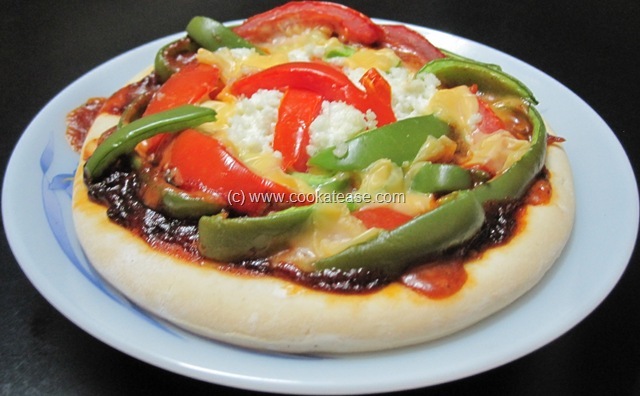 After seeing the westernized toppings on the pizza, I thought of trying out pizza with localized Indian toppings as pizza base is easily available in the shops. 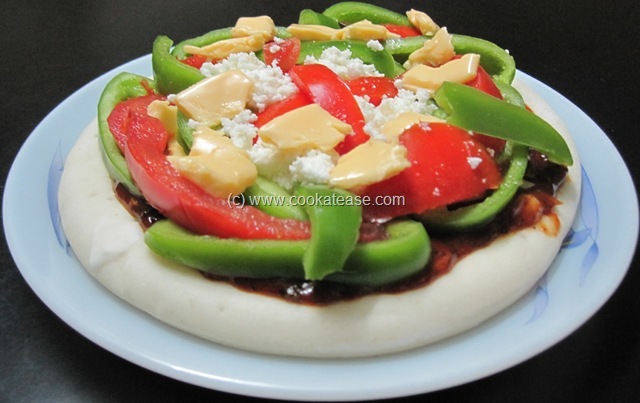 Here is Pizza with Indian Topping using cheese sheet, paneer and some vegetables. We enjoyed this little spicy pizza till the last piece of it. 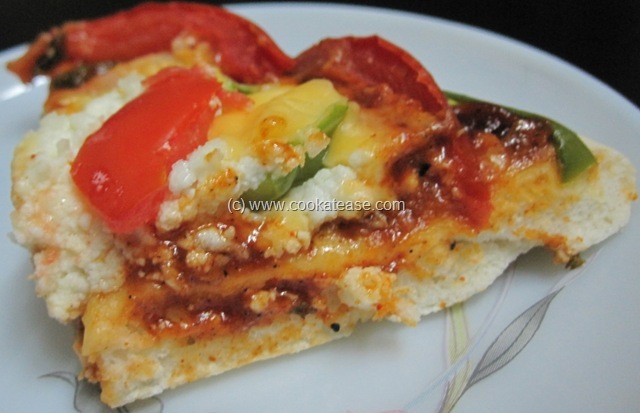 Though pizza and cheese are inseparable I used minimum cheese and added some cottage cheese or paneer. 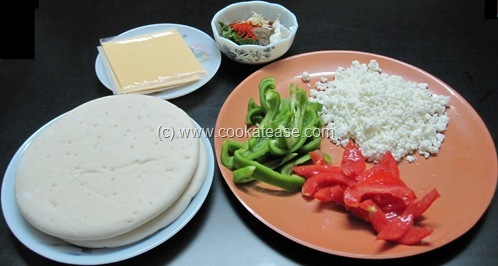 Chop tomato and capsicum into long thin strips; crumble cottage cheese with your fingers. 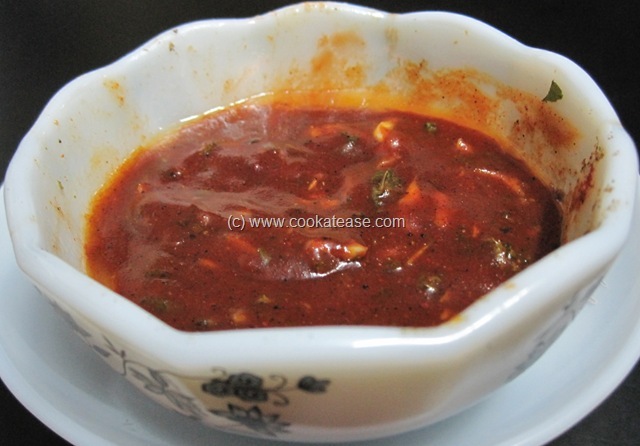 Mix all ingredients given for sauce and keep in microwave for one minute and cool it. 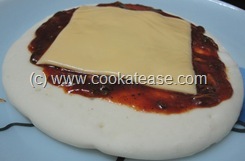 Now spread the sauce on each pizza base and keep one cheese slice on top. Arrange crumbled cottage cheese, capsicum, tomato and remaining one cheese slice (divide the cheese slice into two parts and use on both pizza base). 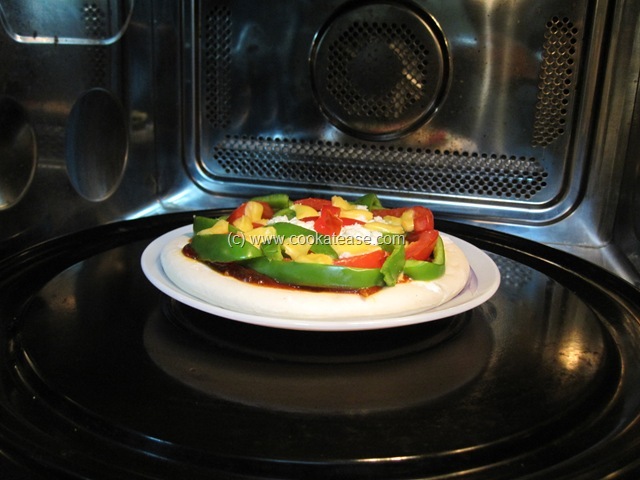 I baked it for 10 minutes at 180 degree Celsius in my three in one microwave oven. 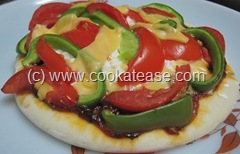 Here is a closer view of the Pizza with Indian Topping. 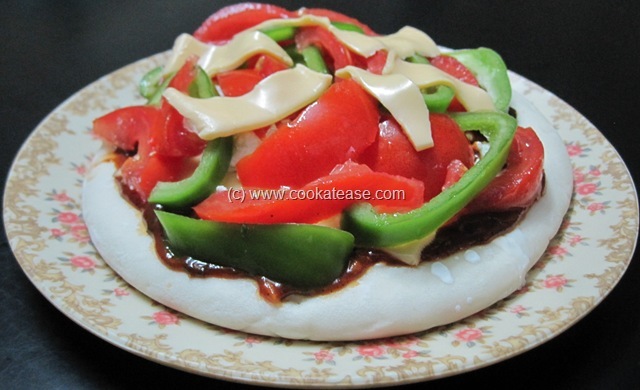 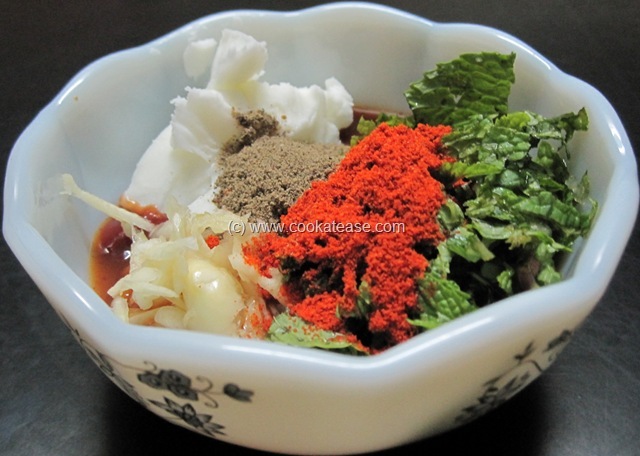 Wow looks yumm..Lovely paneer topping…. wow, love this Indianized pizza! 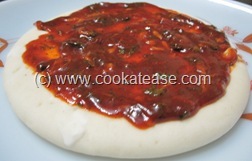 I HAVE TRIED IT , IT LOOKS GOOD AND TEST IS ALSO VERY GOOD , I LOVED IT.